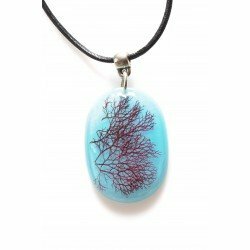 Sphaerococcus short necklace (turquoise backgroud). 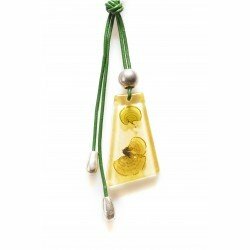 Pendant made with the natural red alga Sphaerococcus coronopifolius encapsulated. The color of algae is its natural pigmentation which makes it unique and exclusive. 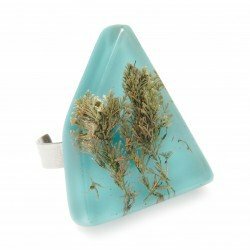 Ring made with green algae Ulva rigida. 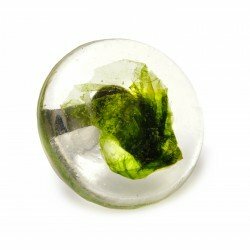 The colour of algae is its natural pigmentation which makes it unique and exclusive. 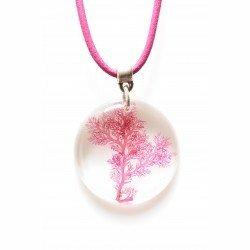 Short necklace made with red alga Plocamium cartilagineum. It is crafted with zamak (anti-allergic materials) and leather in black or fucsia color. The color of algae is its natural pigmentation which makes it unique and exclusive. Silver hippie earrings. 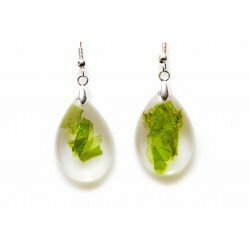 Earrings made with the encapsulated natural green alga Codium tomentosum. The color of algae is its natural pigmentation which makes it unique and exclusive. Silver hippie earrings. Earrings made with the encapsulated natural red alga Plocamium cartilagineum. The color of algae is its natural pigmentation which makes it unique and exclusive. 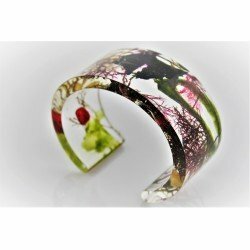 Bracelet made with red alga Plocamium cartilagineum. It is crafted with zamak (anti-allergic materials) and leather in black or fucsia. 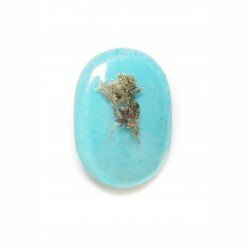 The colour of algae is its natural pigmentation which makes it unique and exclusive. 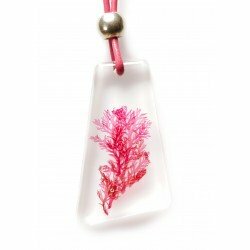 Long necklace made with red alga Plocamium cartilagineum. It is crafted with zamak (anti-allergic materials) and leather in black or fuchsia color. The colour of algae is its natural pigmentation which makes it unique and exclusive. 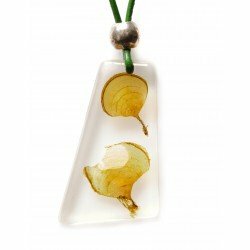 Long necklace made with the natural brown alga Padina pavonica encapsulated. It has an adjustable length by a sailor’s knot. The color of algae is its natural pigmentation which makes it unique and exclusive. Leather cord 2mm olive green color. Uses beads silver plated zamak. 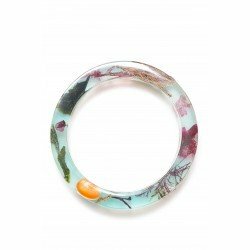 OCEAN bracelet contains the beauty and colorful Flowers of the sea. Made with brown, green and red algae combined in different ways to make each piece unique and exclusive. The color of algae is its natural pigmentation. Silver hippie earrings. 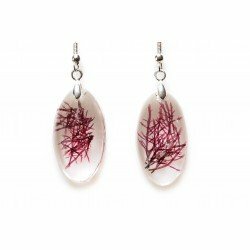 Earrings made with the natural red alga Corallina elongata encapsulated. The color of algae is its natural pigmentation which makes it unique and exclusive. Silver hippie earrings. 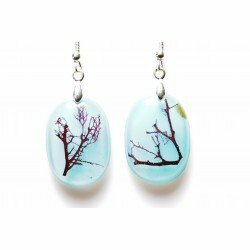 Earrings made with the natural red alga Sphaerococcus coronopifolius encapsulated. The color of algae is its natural pigmentation which makes it unique and exclusive. 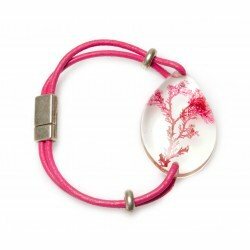 OCEAN bracelet contains the beauty and colorful Flowers of the sea. Made with brown, green and red algae combined in different ways to make each piece unique and exclusive. Natural algae inside resine. 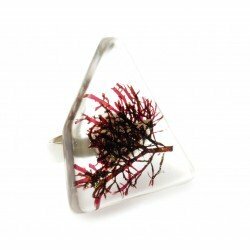 Ring made with red algae Pterocladiella capillacea. The colour of algae is its natural pigmentation which makes it unique and exclusive. 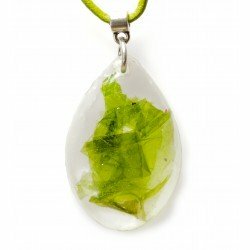 Short necklace made with green alga Ulva rigida. It is crafted with zamak (anti-allergic materials) and leather in black or olive green color. The color of algae is its natural pigmentation which makes it unique and exclusive. Silver hippie earrings. 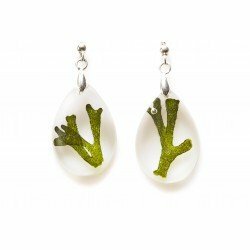 Earrings made with the encapsulated natural green alga Ulva rigida. The color of algae is its natural pigmentation which makes it unique and exclusive. Silver hippie earrings. 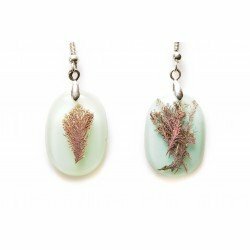 Earrings made with the encapsulated natural red alga Pterocladiella capillacea. The color of algae is its natural pigmentation which makes it unique and exclusive. 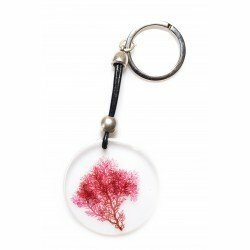 Keyrings made with the natural red alga Plocamium cartilagineum encapsulated. The color of algae is its natural pigmentation which makes it unique and exclusive. Long necklace made with brown alga Padina pavonica. It is crafted with zamak (anti-allergic materials) and leather in black or olive green color. The colour of algae is its natural pigmentation which makes it unique and exclusive. 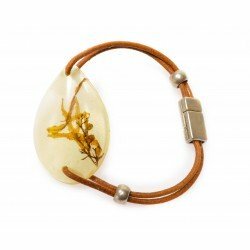 Bracelet made with brown alga Sargassum vulgare. It is crafted with zamak (anti-allergic materials) and leather in brown or natural color. The colour of algae is its natural pigmentation which makes it unique and exclusive. 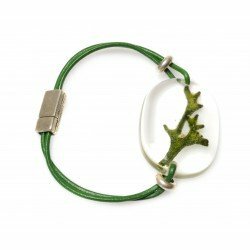 Bracelet made with green alga Codium tomentosum. It is crafted with zamak (anti-allergic materials) and leather in black or olive green color. The colour of algae is its natural pigmentation which makes it unique and exclusive. 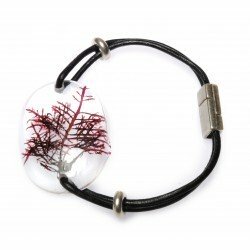 Bracelet made with red alga Pterocladiella capillacea. It is crafted with zamak (anti-allergic materials) and leather in black or olive green color. The colour of algae is its natural pigmentation which makes it unique and exclusive. 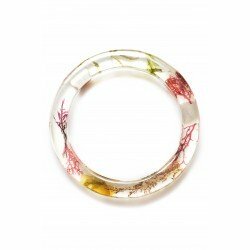 Ring made with red algae Corallina elongata. The colour of algae is its natural pigmentation which makes it unique and exclusive. Each article has a descriptive card with the scientific name of the algae that contains ,uses and characteristics of interest. They are sent in padded bags for be received in optimum condition. Why to buy in elalgario.es?